Each week we highlight a Buildbox made game in our special “#indiedev Buildbox #FreeGameFriday spotlight“. This week’s spotlight goes to RisingHigh Studio’s Color Maze. In Color Maze players have to jump through a world of white towers and colorful pathways while avoiding flying arrows and traps. Referred to by some reviewers as Monument Valley meets Color Switch, the game is as stunning as it is challenging. As tiles guiding players through the maze are illuminated by different colors the previous tiles quickly disappear. Lightning fast reflexes are essential in order to stay a step ahead. One wrong move and you’ll find yourself falling deep into the beautiful abyss. 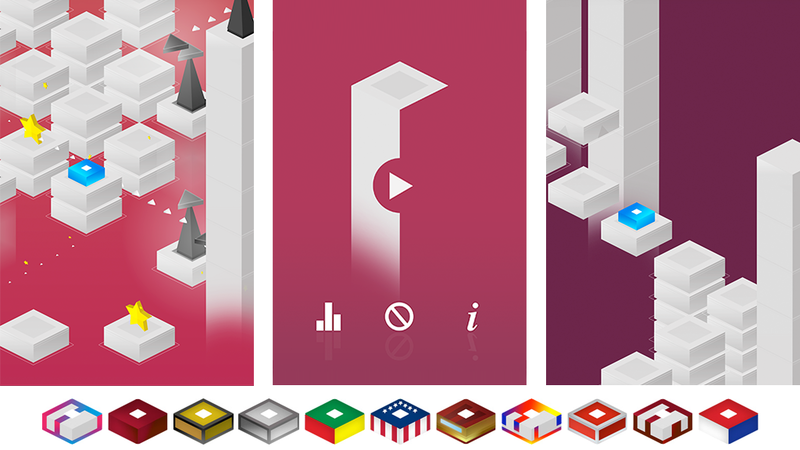 There are certain tiles in Color Maze that will trigger switches or ride lifts which keeps the gameplay interesting. Players can also enter portals that will completely change the course of their journey. The game features simple one touch controls and plenty of customization options with 24 tile characters to unlock. You can check out Color Maze on iOS. Color Maze was released on April 28th in the App Store by RisingHigh Studios. It’s already been Featured by Apple in the Games We Love category across Europe. Kevin Wolstenholme’s RisingHigh Studios has been successfully creating casual mobile games using Buildbox for quite some time. Fatal, 99 Moons, Parallels, and Impossible Caves are just a few of their hits made using Buildbox. The UK based indie studio has also published many successful titles with Appsolute Games and has been featured 10 times by Apple in the Best New Games category. Congrats to Kevin and his team at RisingHigh Studios. We hope Color Maze continues to climb the charts! If you’d like your game considered for our weekly spotlight just post a link to it on our forum in the ‘Game Showcase’ section or Tweet it with the hashtag #buildbox on Twitter. We’ll check it out!